In the regulated world of medicines, the investment of time and money necessary to bring a new drug to the market has multiplied and is currently around 14 years and one billion euros. This limitation has led researchers to think of alternative methods to find new uses for old drugs. One such pathway is to review the adverse or side effects. It has recently been found that Ventolin inhalers, a treatment for asthma, could prevent premature births, and arsenic, the famous poison, could be reused as a treatment for leukaemia. Although these are still being investigated, we review those cases where the effect found by chance has given more impact to the drug than the original purpose. The idea of recycling of old drugs for new uses even includes one of the best selling drugs of all time. 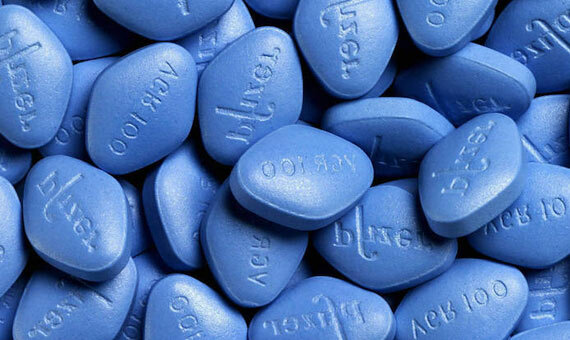 Viagra was not conceived as a treatment for erectile dysfunction, which would manage to pull in billions of dollars annually in its first two years of sales, but rather as a drug to treat hypertension. In the mid-1990s, in the United Kingdom, the pharmaceutical company Pfizer began clinical trials to test the effectiveness of sildenafil against angina pectoris and pulmonary hypertension. They were looking for a drug that could relax blood vessels, as angina pectoris narrowed the blood vessels to the heart. The results were disappointing. The laboratory was about to abandon the trials, when some volunteers returned to report an unusual side effect: they had ‘suffered’ from a large number of erections. In 1996, Pfizer decided to patent the drug. Prior to its commercial launch in 1998, there was no oral treatment for erectile dysfunction, which had to be treated by injection or with a prosthetic implant. Thus, thanks to a failed treatment for angina, one of the most prescribed drugs in the world was discovered. If Viagra is an illustration of the commercial potential of repositioning, the case of thalidomide provides an even more radical example. The first and brutal side effect found in this drug led to disaster, and yet new research has identified its other effects as possible treatments for cancer or leprosy. Thalidomide was marketed by the German laboratory Chemie Grünenthal between 1957 and 1963 as a sedative to relieve anxiety, insomnia, nausea and vomiting in pregnant women. It was sold in almost 50 countries and only in the United States was its distribution prevented. The US Food and Drug Administration (FDA) refused to give it the green light while waiting for more data on its safety. 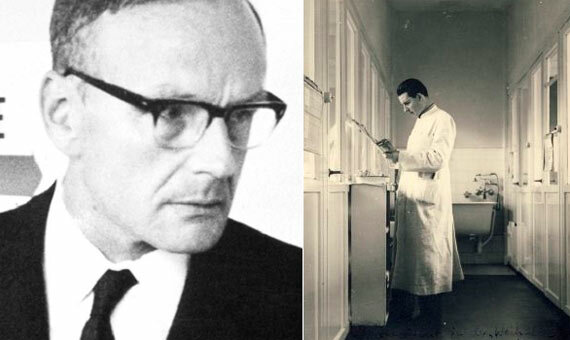 In 1962, paediatricians Claus Knapp and Widukind Lenz published an article in which they warned of the relationship between thalidomide intake during the first months of pregnancy and severe malformations in the foetus. Babies were born without legs or arms and occasionally also with problems in internal organs. It is estimated that about 10,000 children were affected by this drug. This case hardened the safety controls needed to bring a chemical to market and it is possible that, in part, the development of new drugs is so difficult today because of what happened then. However, half a century later, thalidomide is being used to combat various diseases, from cancer to leprosy. In 1979, it began to be used for the treatment of Behçet’s syndrome (a chronic rheumatic disease). Its anti-angiogenic properties have also been described and favourable results have been found in multiple myeloma. All of this, of course, is with new precautions to prevent any pregnant women from taking the medication again. The search for treatments against hair loss goes back until at least 400 years before Christ. Hippocrates, one of the fathers of medicine, found a recipe to prevent baldness: a mixture of opium, horseradish, dove droppings, beets and various spices that had to be applied to the scalp. However, the mixture did not work, not even in Hippocrates himself. But ever since then, both home remedies and scientific remedies have not ceased to appear. Some of them have even turned up by chance. This is the case of Minoxidil, marketed as Rogaine for treating baldness. Minoxidil is a vasodilator that was originally used as a treatment for hypertension under the name Loniten. During clinical trials, some patients taking the drug were found to have increased body hair in both the scalp and other areas of the body. Doctors labelled this condition hypertrichosis. Researchers at the pharmaceutical company Upjohn Corporation took this side effect and developed a lotion to apply directly on the scalp to fight against alopecia. By 1988, Rogaine was being marketed separately. 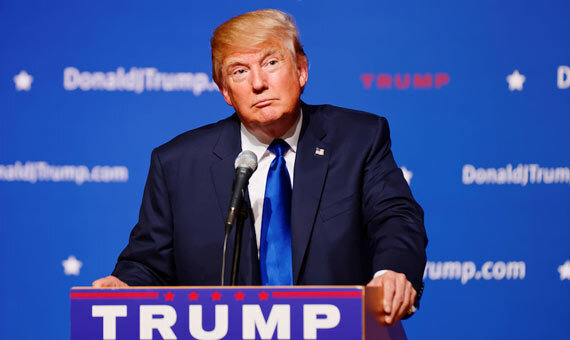 Finasteride has returned to prominence since it became known that the newly appointed President of the United States, Donald Trump, used it. His doctor told the New York Times that Trump was taking this drug for a prostate treatment. However, this revelation was presented as if the new US president was taking drugs against hair loss. This apparent contradiction is due to the origin and subsequent recycling of this drug. Although Finasteride is often associated with anti-baldness treatments, it was originally marketed as a treatment for benign prostatic hyperplasia, under the name Proscar. In 1992, the US FDA approved its use for this purpose and it was not until 6 years later that the drug was repositioned under the name Propecia, as a treatment for alopecia (hair loss). The researchers found that a lower dose of Finasteride (from the usual 5 in Proscar to 1 milligram) could move it from a medical use to a cosmetic one. At that time, there were not many oral treatments, since the majority—like Minoxidil—were lotions and shampoos. It soon became the new star drug and allowed Merck, the pharmaceutical company that manufactured both drugs, to monetize its investment with Proscar, which never achieved the hoped-for success. Gemcitabine, which started as a potential antiviral drug, a relatively common antibiotic, was reoriented as a cancer treatment. This drug was synthesized in the laboratory of the large pharmaceutical company Eli Lilly in the early 1980s. It was not until a decade later that clinical trials showed that it could wipe out leukaemia cells in vitro. In 1995, Britain became the first country in which it began to be marked. Gemcitabine is currently used as a chemotherapeutic agent for the treatment of different types of cancer, including lung, pancreatic, bladder and breast cancer. Its usefulness is also being investigated for other tumours such as oesophageal cancer and lymphomas.